Did you know it costs $1,310.72 to transmit 1 MB of data? Well, if you were to do so via text messaging, that is what the cell phone carriers would have you believe. If you don’t have a text messaging plan, and pay as you go at the rate of $.20 per message, and 160 characters per message, that is how much it would cost to transmit 1 MB of data via text messaging according to math done by CrunchGear back in July 2008. Back in the olden times, you know, around 2005, individual text messages cost only $.10 each, but somehow between 2005 and 2008, the price doubled, and that finally drew the attention of the Senate antitrust subcommittee. Your four companies are the nation’s leading wireless telephone companies, collectively serving more than 90% of the nation’s wireless subscribers. Since 2005, the cost for a consumer to send or receive a text message over each of your services has increased by 100%. 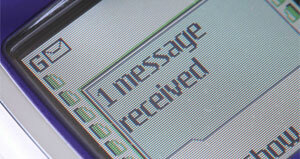 Text messages were commonly priced at 10 cents per message sent or received in 2005. 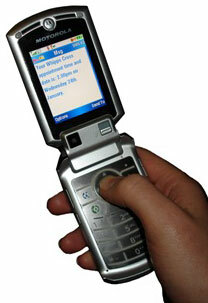 As of the end of the month, the rate per text message will have increased to 20 cents on all four wireless carriers. Sprint was the first carrier to increase the text message rate to 20 cents last Fall, and now all of its three main competitors have matched this price increase. What is particularly alarming about this industry-wide rate increase is that it does not appear to be justified by rising costs in delivering text messages. Text messaging files are very small, as the size of text messages are generally limited to 160 characters per message, and therefore cost carriers very little to transmit. Text messaging files are a fraction of the size of e-mails or music downloads. Also of concern is that it appears that each of companies has changed the price for text messaging at nearly the same time, with identical price increases. This conduct is hardly consistent with the vigorous price competition we hope to see in a competitive marketplace. While all four carriers did appear before congress, the most fascinating thing to come out of those meetings came from Srinivasan Keshav, a professor of computer science at the University of Waterloo, in Ontario. Mr. Keshav explained that text messages actually are transmitted on lines that are required for the towers to communicate with one another, and our text messages essentially piggy back on those lines, meaning they are riding along required equipment, and no special equipment is required. That is also why text messages are limited to 160 characters, as that is the same length as the messages transmitted between the towers to initiate calls. Mr. Keshav also went on to provide the senate subcommittee with his math on exactly how much each text message costs the phone companies, including activities such as accounting and billing, and he arrived at the conclusion that it costs the phone company. By his best estimates, each text costs them 0.3 cents. Not 3 cents, mind you, but three-tenths of a sent. This means that It takes slights over three texts to cost them even $.01, or 60 texts for the price you are paying for them off contract. In your standard unlimited $20 a month texting plan, that means you could send 6,000 texts a month before the companies began to lose money on the deal. While there have been stories of some teenagers sending 14,258 texts in one month, the majority of users out there never come close to 6,000. While there is certainly no reason for phone companies to not make a profit off of text messaging, but a profit margin of 6,000 percent per text? Unfortunately nothing ever came of the senate investigation, and seeing as the phone companies have not lowered their rates in the wake of them, it seems unlikely anything will happen now that we are this far removed from them. It is estimated in the United States that 3.3 trillion texts were sent in 2009, and while it is impossible to know how many of them were pay-as-you-go, and how many were on texting plans, you know that an incredible amount of profit was made by phone companies off of our growing texting habit. Remember next time you send a text that a phone company executive somewhere is doing a happy dance.